Six-year-old AJ Byers, of Grove, swims the breast stroke leg of the Boys 8 and under individual medley for the Joplin Stingrays during the Joplin Stingrays Invitational on Saturday at Schifferdecker Pool. Earlier in the day, Byers claimed first place in the Boys 8 and under 25m freestyle. 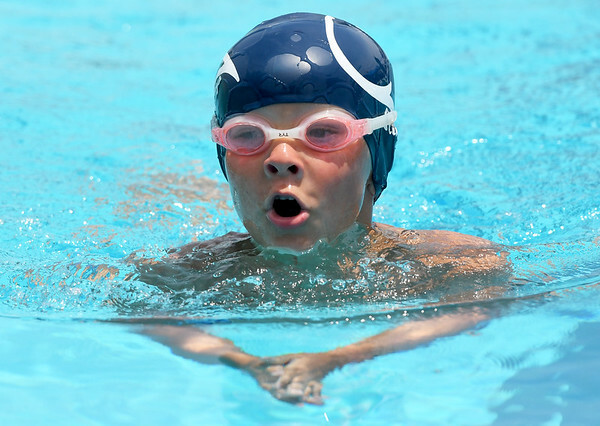 This summer marks Byers first full year of competitive swimming.